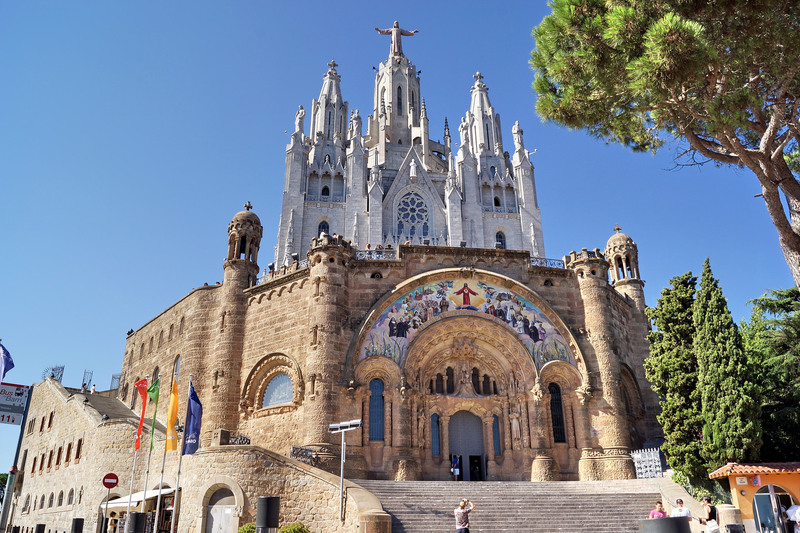 Barcelona is one of the most popular tourist attractions in Spain. This beautiful city is drowning in splendid architecture, captivating history and fascinating culture. 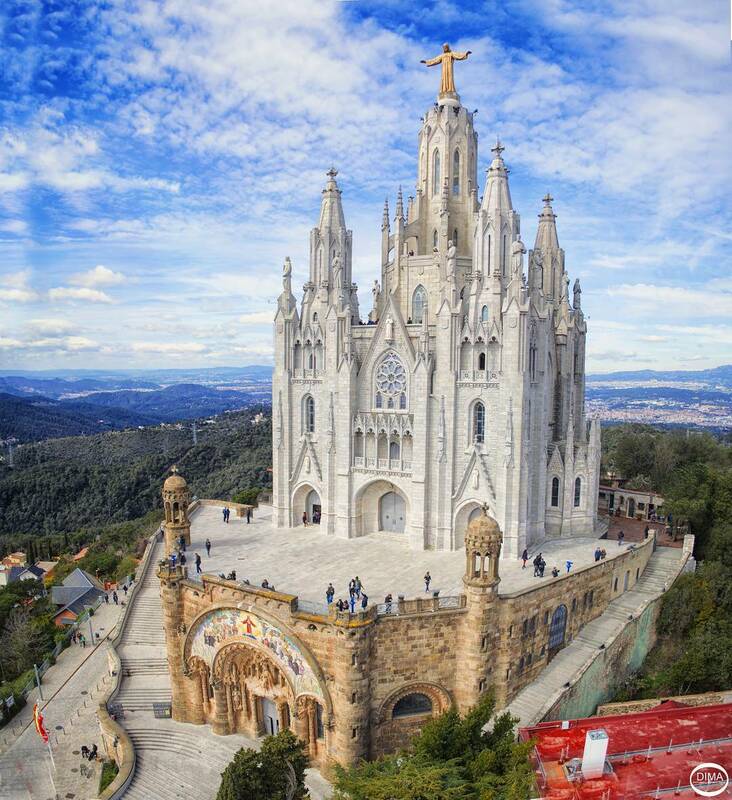 But, one truly iconic sightseeing spot is Temple Expiatori del Sagrat Cor. 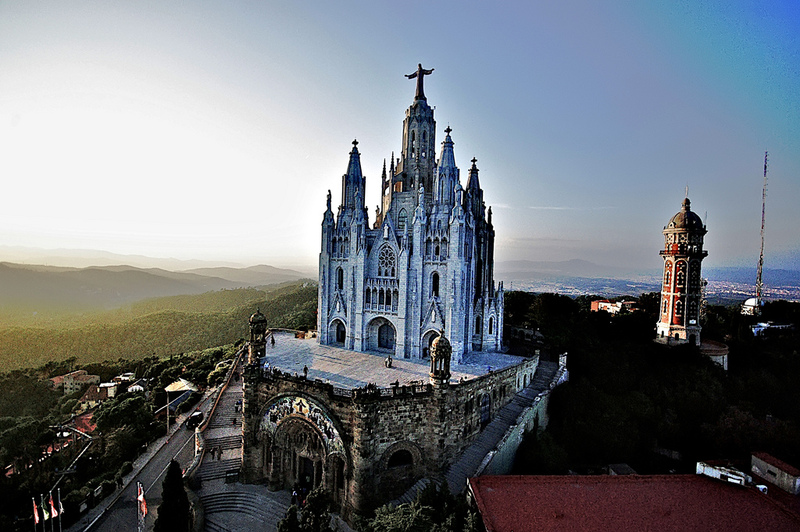 Standing almost 1800 feet above sea level on mount Tibidabo, the temple offers an unforgettable view of Barcelona. As the years went on and construction was delayed. In 1886, there was a small neo-gothic chapel built (at least smaller than, what the Knights envisioned). The crypt was built in 1903, followed by the building of the main church in 1951. Owing to the complexity of the project, its construction lasted nearly 60 years and was completed in 1961. However, the results were worth it. The entire exterior surface of the temple is filled with sculptures and beautiful details, that are truly breathtaking and can take hours to study. 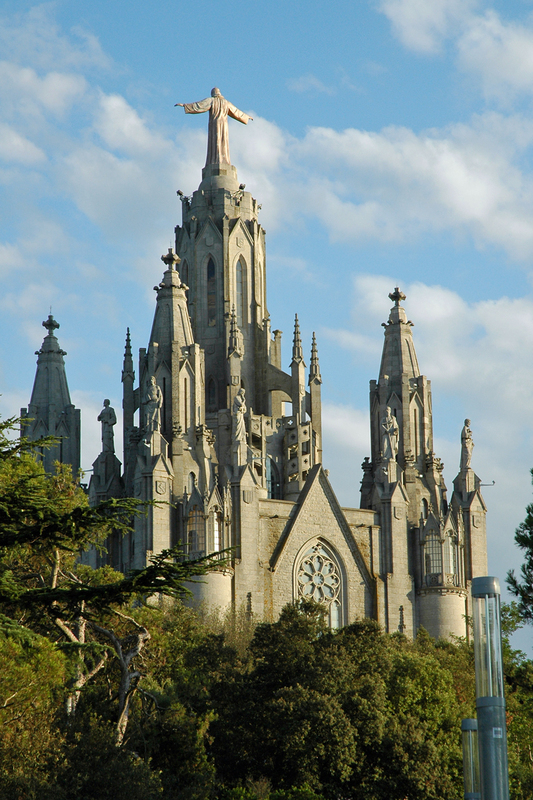 Overall, the Temple of the Sacred Heart of Jesus is definitely worth visiting the mountain of Tibidabo, while on vacation in Barcelona.